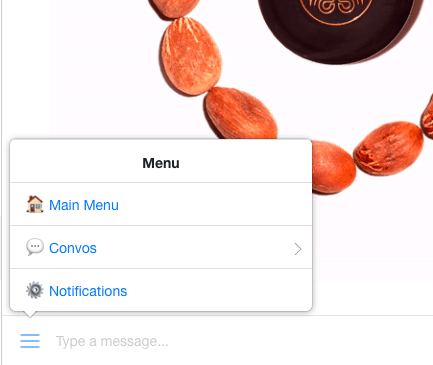 The persistent menu is your bot's menu inside Facebook Messenger. 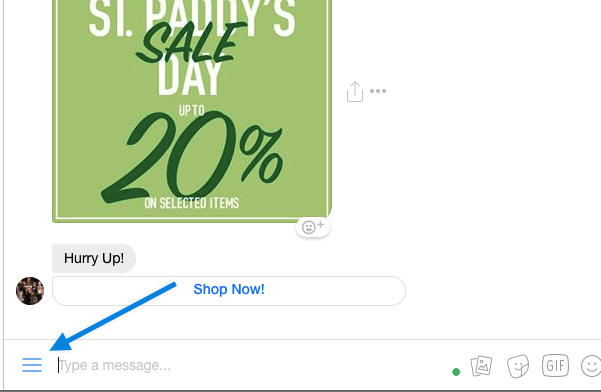 It's always available in the bottom left corner of the Messenger conversation and helps them easily navigate your bot. From the Persistent menu, users can quickly reach the Main Menu, see and edit Notification preferences or check out your featured Convos, which you can also organize based on Topics. If there is only one Topic it will be displayed in the Main Menu instead of Convos. This is a great feature if, for example, you wish to use Convos to display a FAQ in Persistent Menu. All you need to do is create an "FAQ" Topic and organize all your Convos inside that Topic. If you want to use this trick, make sure you don't feature any Convos in "Recent Convos."